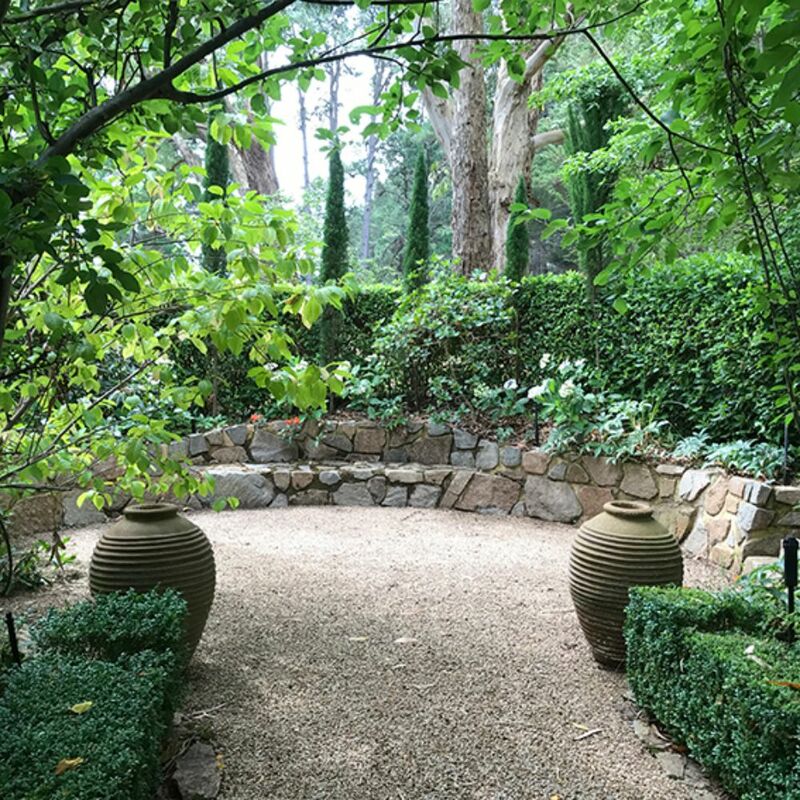 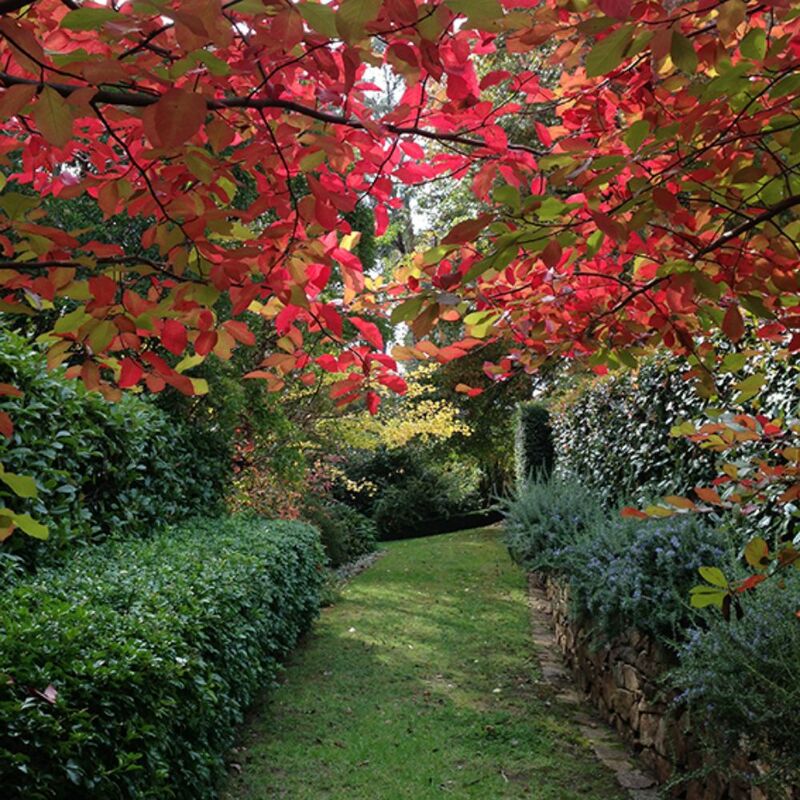 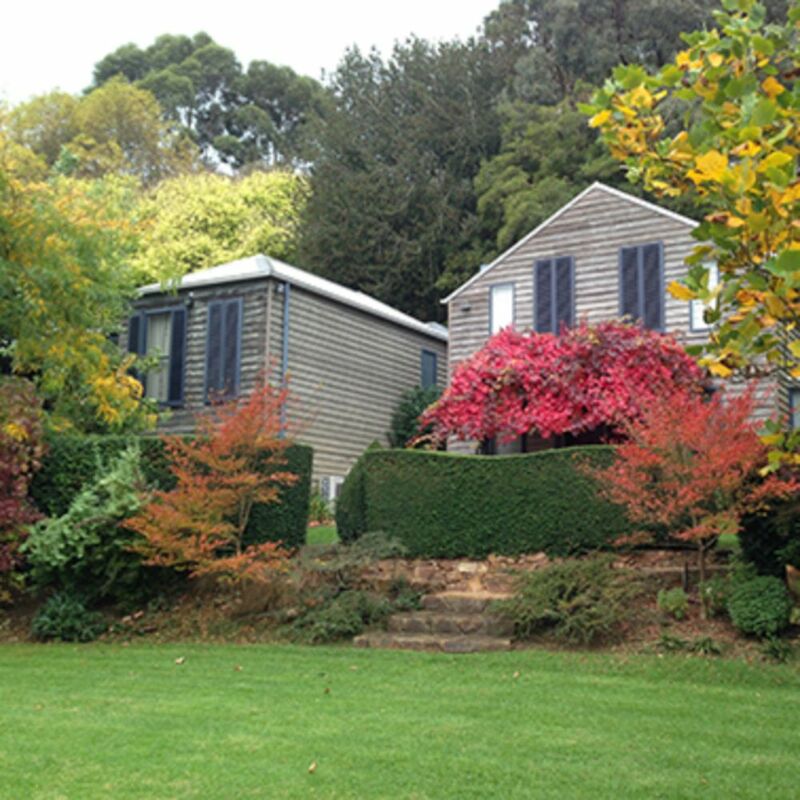 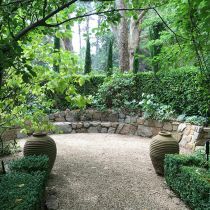 Impressive, established trees are the framework for this beautifully planned 1.2 hectare Mornington Peninsula garden that descends to Main Creek in a series of lawn terraces defined and linked by walks, hedges and magnificent stone steps. 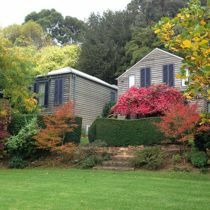 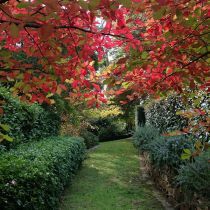 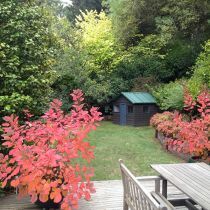 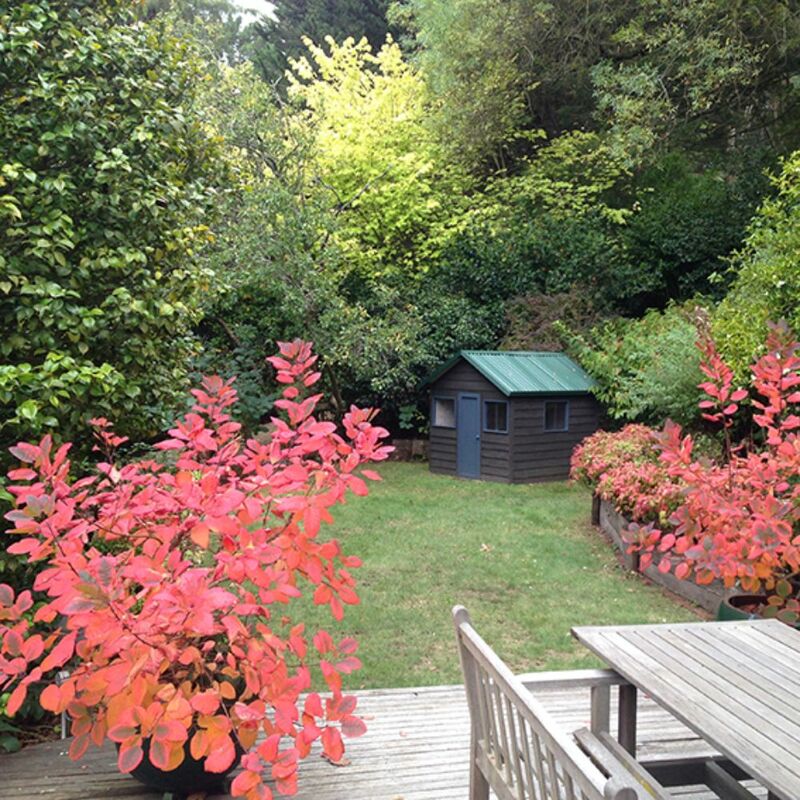 Oaks, maples, birches and beeches provide stunning autumn colour and key vantage points reveal sweeping garden vistas. 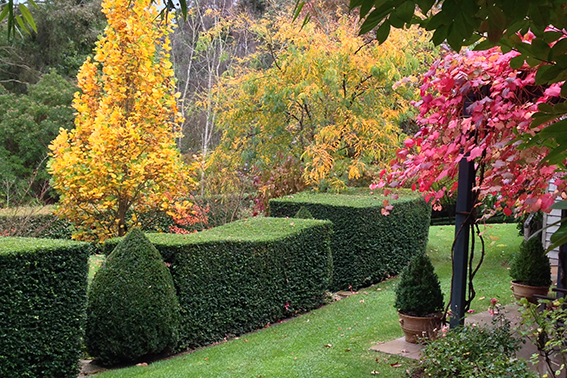 Other features include a beautiful crab apple walk and a knot garden.